Last week telco and IT really merged. I attended the Oracle OpenWorld event in San Francisco, and cloud was included in all the discussions I had. You can really say it was a true chance to take a look at the future of our industry. Our discussions touched every corner of the industry transformation that is taking place as we speak. As I wrote earlier this year: It all starts with the cloud. Nokia Networks brought a piece of this transformation to the event – a distributed cloud architecture made real with our AirFrame Data Center Solution! Let me explain why this is such a disruptive solution in the market. While the telco and IT domains are merging fast, it is important to meet the different requirements of these two worlds. Think of strict latency and security requirements, and the need for extremely high capacity for the telco world, and on the other hand, on-demand availability and quick performance of IT and enterprise applications based on cloud technology. Both domains are looking for high scalability and fast deployment capabilities. 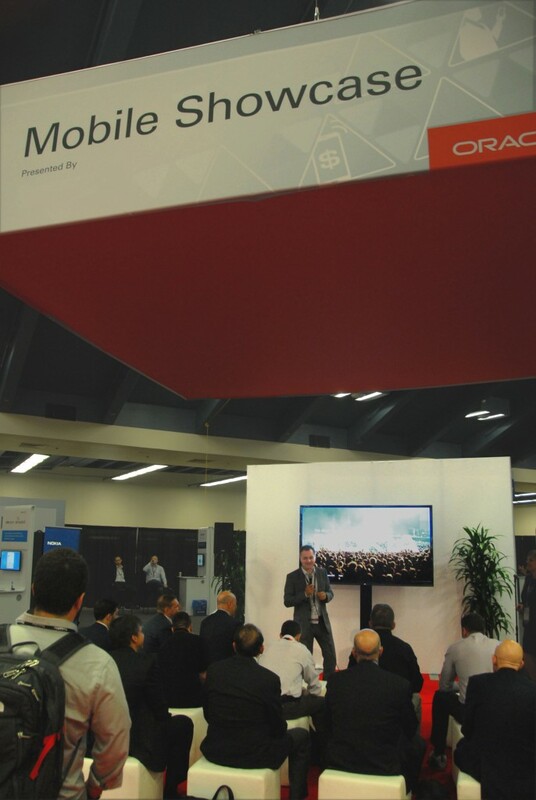 Our distributed cloud architecture was central to several good discussions at Oracle OpenWorld. With the whole world talking about cloud benefits, there are many nuances of what a cloud is. If we look at this from the viewpoint of a connected world, we need the cloud located very close to the connected people and things in order to deliver the future services with the right service level agreements. Combine all this and you have AirFrame, which is compatible with any cloud application, and has the ability to run IT-based applications in parallel with demanding telco cloud workloads. We have now introduced the advantages developed for the telco environment - such as a range of advanced acceleration technologies and embedded security - in the IT and enterprise environment. Furthermore, our scalable solution - from a few nodes to full hyperscale deployments - can perform better than traditional IT servers by bringing processing power exactly where it is needed. These aren’t idle words – in fact, at Oracle OpenWorld we ran a suite of Oracle software on the AirFrame Server. It really highlights the importance of building a strong ecosystem with other industry players. Personally, I strongly believe in the power of open standards and open collaboration. We at Nokia Networks have placed these concepts at the heart of our partnering strategy in the cloud domain. And you can be sure we will continue to accelerate the development of the merged telco and IT world on our way to leveraging the full promise of 5G technologies. Learn more about Oracle OpenWorld at the event page, and about Nokia AirFrame Data Center Solution at the product page. Please share your thoughts on this topic by replying below – and join the Twitter discussion with @nokianetworks using #NFV #oow15 #cloud #telcocloud . Thorsten is vice president, Vertical Network Slices, Nokia and excited to be leading this growth area, which creates innovative end-to-end solutions within the merging telco and IT industry. His focus areas include: Car2X, manufacturing, logistics, media & entertainment and public safety. We declare the road to merged IT and telco cloud now open!